We know how important it is to water your lawn. Yet, other parts of your yard also need the proper amount of watering. In this case, we are talking about watering your garden. Many people will struggle in trying to decide when the best time to water the garden is. Also, how much should the garden receive? Let’s start with the necessary amount of water. Generally speaking, your garden should receive about one to two inches of water per week. How about timing? Much like your lawn, the best time to water your garden is early in the morning. This is especially true during the warmer months. The early morning hours are cooler during those times, making it more conducive to productive watering. This also gives the water in the garden time to be absorbed in the roots of the plants. This is where a lawn sprinkler system with a timer can really pay off. Maybe you want to water your garden at 4am. That’s great except prefer not to get up at 4am. No problem. 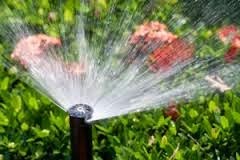 Just set your lawn sprinkler timer for the specified time and stay in bed while your lawn sprinkler system does what needs to be done to keep your garden healthy.